Android Auto from Google and CarPlay from Apple recently won a spot into the dashboard of today’s most advanced test cars. The two integration systems are meant for smartphones and they’ve been competing against each other since the release. Many are still wondering – which of the two is better? Let’s find out. The greatest difference between CarPlay and Android Auto is the organization of the apps, information, and functions. Both remained loyal to their design philosophies and custom OS, so it shouldn’t surprise anyone that CarPlay’s home screen is similar to an iPhone. It packs a flat structure with large icons for apps and functions on the home screen, which by the way is scrollable. There are no lists, submenus or folders; which means that getting into the CarPlay interface is a matter of a one-two taps. On the other hand, we have the Android Auto screen which bears numerous icons. Each of those icons offers quick shortcuts to numerous functions. This can be extremely practical to some because you won’t have to go to the home screen and select an audio source to find the map. 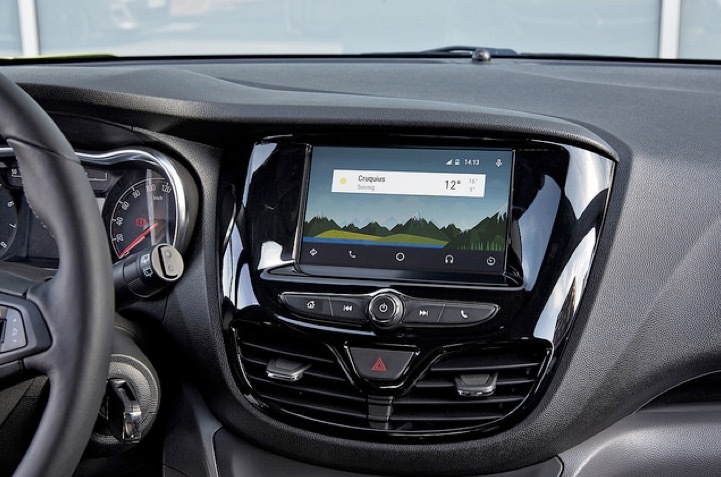 Android Auto introduced Google New, a contextually aware, live updating information stream that displays notifications, weather information and shortcuts to various destinations based on the recent searches and habits of the driver. It appears that CarPlay doesn’t feature that much information, although there are clever details one should know more about. For instance, if you miss a text or call, or if you have unplayed podcasts in queue, that function’s icon will have a red circle displayed in the upper right corner of the dash, thus letting you know you’re missing something. With Google, these notifications get shuffled into the Google Now cards, so you may miss them. 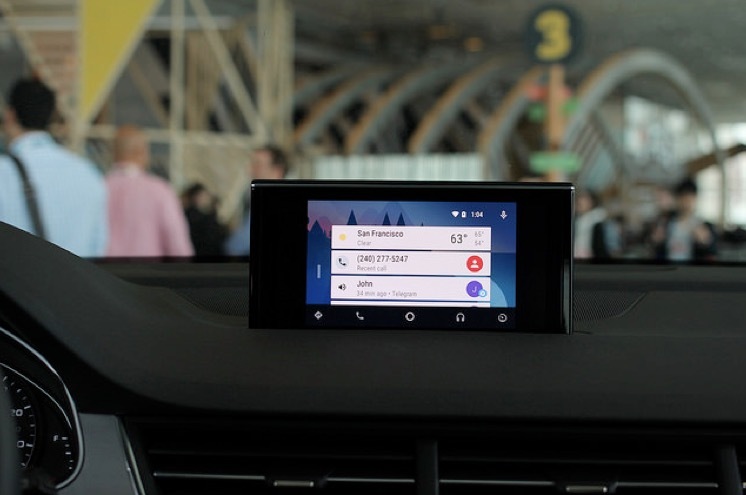 Android Auto has Google Maps for navigation. The software looks great on mobile, filling the screen with turn by turn directions and well-drawn maps. Google maps offers verbal traffic updates and it is also capable to suggest alternate routes. The system does a great job at integrating commute information and destination cards. With Apple’s Car Play we have Apple Maps, which also integrates the voice commands of Siri. Neither system allows drivers to opt for third party navigation, such as Scout, TomTom or Waze. Both Android Auto and CarPlay have their own lists of audio streaming apps; and it all makes sense. Audio content is one of the safest and oldest forms of in-car infotainment. Needless to say, each system has native audio apps. CarPlay has Podcasts and iTunes Music, while Android Auto has Google Play Music. Both operating systems work with major players such as Umano, Spotify, Stitcher and iHeart Radio. Neither works with Pandora though. Experts agree that CarPlay has a small advantage over Android Auto; apparently, it packs a larger list of supported apps (13 apps) as opposite to Android Auto which only has 9. Both operating systems have APIs published that permit any third party app developer to adapt their own software for CarPlay or Android Auto; new apps will follow next too. Google has a pretty powerful voice search component for Android Auto, but then again, so does Apple. Both of them permit drivers to initiate calls, request turn by turn navigation, and send text messages through voice. Drivers will also be allowed to make calendar appointments, schedule reminders, and get answers to all kinds of off questions related to general aspects of a certain place or attraction. It is fundamental that people understand the main differences between CarPlay and Android Auto. There’s still a lot of confusion going on. First of all, future car buyers should know that manufacturers will ship vehicles with both CarPlay and Android Auto integrated. This means that you will be the one to choose which of the two you’d like to use. If you make a choice but you’d like to switch after that to a different OS, you can do it at any time. Both systems will update via the driver’s smartphone. There are differences between them, so you might want to get to know them better before picking one. By Fredrick Cameron and Ppcgb.com! Wow! 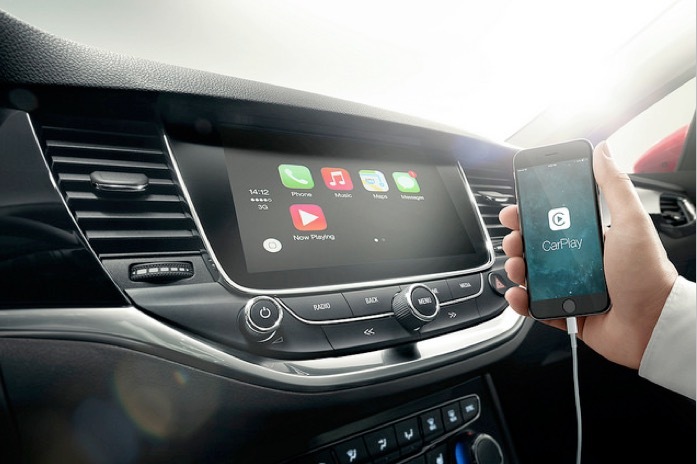 awesome feature Apple Car Play… thanks for sharing & updating us.keep posting.